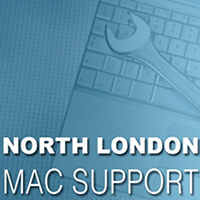 North London Mac Support are here to keep you switched on, plugged in and linked up. We can repair your Apple computer and we cover all areas of North London and offer our advanced skills to resolve all types of Mac problems. Get in touch and find out how North London Mac Support can help you right now. Our workshop is based in the heart of North London in Crouch End so we’re just 20 minutes from the City, West End and Central London, outside the congestion charge zone, high parking costs and traffic jams. We’re close to major road networks such as the A1, M1, A406 and M25. We strive to offer the very best Apple Mac Repairs in North London. North London’s Experts for MacBook Liquid Spill Repairs – Call 0200 888 1121 now! In the fight against disposable culture our Mac repair experts here at North London Mac Support use their advanced skills to breath new life into faulty Apple computers across North London. Don’t throwaway and buy new. Let our friendly technicians revive your Mac and extend it’s life. We're a small local business offering full understanding of technology requirements for the home user and small business user. Areas Covered: Haringey, Hampstead, Islington, Camden, Islington, Barnet, Enfield, Hackney, Muswell Hill, Hampstead, Highgate, Hornsey, Archway, Tufnell Park, Kentish Town, Holloway, Wood Green, Tottenham, Highbury, Dalston, Stoke Newington and more.Arrange to drop off your Mac with us or we’ll arrange to collect.